The Internet may have been around in it's most basic form since 1969 though it was not until the launch of the World Wide Web and the wide spread use of email that use of the internet became common place. Since then a bewildering set of useful applications and systems have been built on the top of the Internet Protocol or IP for short; mobile apps, interactive maps, smart phones and video streaming to name but a few. IP has been incredibly useful, so useful that we constantly need to revise the expansion of the network and allocate new capacity across the system. It's constantly tempting to think that the growth of the internet is at least slowing down. Social media growth appears to have slowed itself down now. Though each time we assume things will settle down off pops a new popular usage. The latest massive expansion is the internet's takeover of television etc. Services such as NetFlix and YouTube are simply big pointers in a video streaming revolution that is changing entertainment, education and communication industries. TVs are in other words now part of the internet in just same way as phones, computers and gaming consoles. Though if you stop and observe the Internet landscape you'll see that books (eBook readers), cars (onboard navigation), tickets (electronic transport and entry tickets), toys (networked action figures), credit cards (PayWave systems) are increasingly part of the Internet. All of this on top of an array of identification systems like passports, drivers licences, toll roads and access passes etc. Though too we may realise that our news, sport and entertainment are already deeply part of the internet. Every article you read or view or listen to are on the net and when you consume them your profile is attached to the internet in much the same way as you are tagged in a photo on social media. Many people are tracking their health and activity using fitness loggers and smart watches, these too connect to the internet. You may now begin to feel that you are indeed a central part of the internet, though of course all these things that you are connected to don't really need you to work. They talk to each other without you! Your viewing statistics of a particular genre of YouTube cat videos does not need you to inform advertisers to suggest cute products that you are likely to purchase next time you are in the supermarket. This is metadata and it's potential of being used is quiet extraordinary. In the deep end of The Internet of Things there are particularly more sophisticated things happening than I've mentioned here. 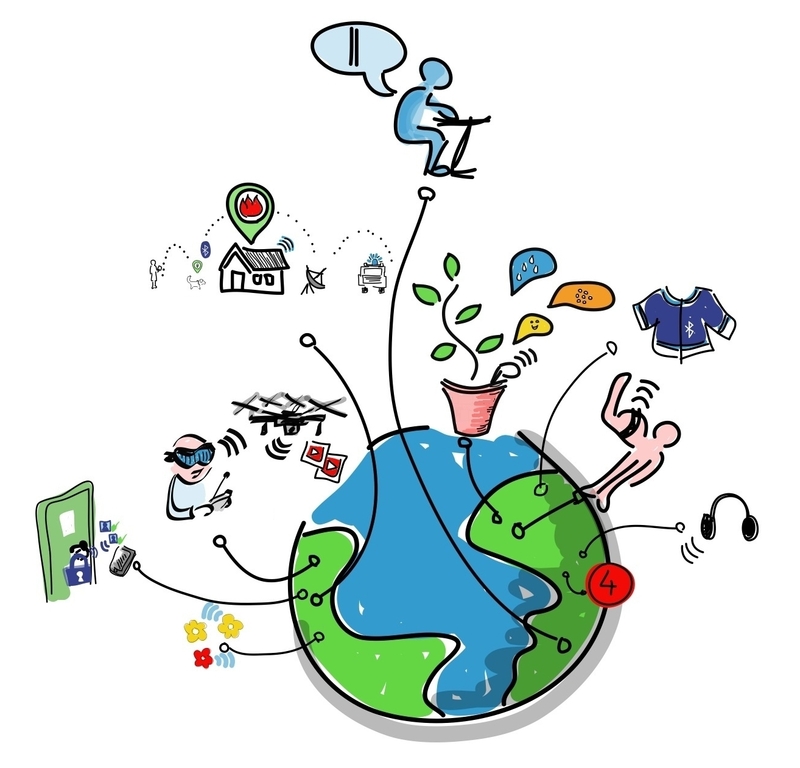 Specialised sensors, devices of all sorts and databases are all being connected to each other over the Internet. Indeed if you can imagine a use, it's probably been or being done. Imagine too how you can be part of this evolution.